Eagle pose, or garudasana in Sanskrit, is a standing balancing posture that requires focus over flexibility. Balancing on one foot, the opposite foot wraps behind the calf. The arms are also intertwined with the palms touching. 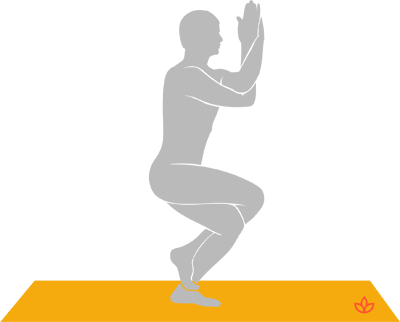 From a standing position, exhale and wrap the right leg over the left, knees slightly bent. Hook the right foot behind the left calf. Exhale and bring the right forearm under the left.